Of the sustainable development challenges facing the world today, energy represents one of the most cross-cutting and deeply embedded in our daily lives and livelihoods. The well-being of our people and economy and the health of our environment depend on safe, clean, secure, sustainable and affordable energy. The energy challenge is characterized by its poverty and environment dimensions. Today some 1.1 billion people lack access to electricity and some 2.8 billion people rely on unsustainable biomass for cooking and heating. At the same time, energy-related greenhouse gas emissions (GHG) contribute to climate change, accounting for almost 80% of GHG emissions in many economies. How to ensure universal access to modern energy services while reducing energy-related GHG emissions lies at the heart of sustainable development challenges. To promote innovative solutions and recognize leadership and commitment in meeting the energy challenge, the United Nations Department of Economic and Social Affairs (UN-DESA), through financial support from the China Energy Fund Committee (CEFC), a non-governmental organization with special consultative status with the United Nations Economic and Social Council, has launched a programme aimed at advancing the implementation of sustainable development by identifying innovative practices in energy for sustainable development. In 2015, during the first year of the Grant, the thematic focus was “Energy for Sustainable Development”. In 2016, during the second cycle, the thematic focus was "Energy for Sustainable Transport." In 2017, the thematic focus is "Sustainable Energy for Eradicating Poverty and Promoting Prosperity in a Changing World." The theme of 2017 Energy Grant is aligned with the theme of the High-level Political Forum (HLPF) taking place in New York in July 2017. HOW IS THE PROJECT RELATED TO THE 2030 AGENDA FOR SUSTAINABLE DEVELOPMENT? 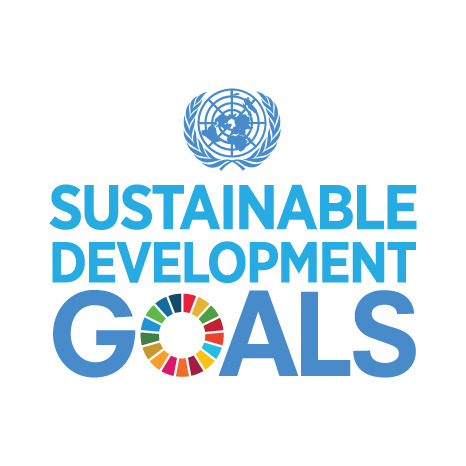 In September 2015, Member States adopted the 2030 Agenda for Sustainable Development which includes 17 Sustainable Development Goals (SDGs) and 169 inter-linked targets. SDG7 is a stand-alone energy goal that calls to "Ensure access to affordable, reliable, sustainable and modern energy for all." In the context of 2030 Agenda for Sustainable Development and recognizing the importance of advancing implementation in sustainable development through partnership initiatives to address gaps in implementation, UN DESA and the CEFC have agreed to strengthen and promote success stories and best practices in advancing energy for sustainable development building on past experiences. As part of the promotion of best practices, which facilitates south-to-south sharing of experiences, an annual grant is provided to individuals and/or institutions which have demonstrated leadership and ingenuity in promoting sustainable development, for replication and/or scaling up. Prior to the 2030 Agenda for Sustainable Development, Member States realized that there had been success stories in advancing sustainable development but that the international community was not doing enough to replicate and scale up best practices and lessons learned from successful experiences. Member States encouraged the UN system to do more to identify and publicize best practices and lessons learned, in collaboration with Governments, business, civil society and other stakeholders. In response to this call and to advocating for SDG7 on Energy, the grant programme aims to promote best practices while also featuring a strong capacity building component in support of the implementation of the 2030 Agenda. In resolution 67/215, the United Nations General Assembly decided to declare 2014-2024 the “United Nations Decade of Sustainable Energy for All,” to be promoted through all sources of energy. Among other actions, the Assembly called upon Governments, as well as relevant international and regional organizations and other relevant stakeholders, to combine, as appropriate, the increased use of new and renewable energy resources, more efficient use of energy, greater reliance on advanced energy technologies, including cleaner fossil fuel technologies, and the sustainable use of traditional energy resources, which could meet the growing need for energy services in the longer term to achieve sustainable development. Given the focus on energy for sustainable development, the grant programme is thus also a concrete follow-up and contribution from UN DESA to the Decade of Sustainable Energy for All. The selection of the institutions/individuals for receiving the Grant is conducted through a rigorous review process, carried out under the guidance of the Advisory Council, whose membership includes internationally-renowned experts across the fields of energy and sustainable development, and whose terms are renewable annually, depending on the future thematic focus of the Grant. The Advisory Council is tasked, inter alia, with reviewing the proposed criteria, as well as the modalities, for the submission, review and selection processes in relation to the Grant. An annual High-level Steering Board also exists to review the Advisory Council’s recommendations and selection for awarding the one million dollar Grant. As indicated above, a distinguishing feature of the Grant is the significant capacity building opportunity for disseminating and transferring the knowledge and experience associated with the grant through workshops, seminars and practitioner-to-practitioner training opportunities. Following each grant cycle, UN DESA and the Energy Grant Secretariat produce a publication on the organizations that reached the top of the evaluation process. This report provides an inside look on innovative practices and lessons learned, providing an easily accessible reference source for following on successful experiences and promoting the important work of the applicants and winners. After a rigorous selection process, the 2015 US $1 million UN DESA Energy Grant was awarded to We Care Solar, a non-profit organization based in Berkeley, California, to enhance and expand the use of its 'Solar Suitcase'. By making solar power simple, accessible and affordable, this device allows for the provision of electricity for medical procedures during childbirth in many developing country areas which do not have access to electricity, helping to avoid life-threatening complications for mothers and children. The 2016 US $1 million UN DESA Energy Grant was awarded to SINTEF, an independent non-profit research institute based in Norway, to demonstrate the feasibility and the social, economic and environmental benefits of solar-powered electric vessels in Tunisia and in the Middle East and North Africa. It is implementing this demonstration project in partnership with the National Agency for Energy Conservation of Tunisia. The 2030 Agenda for Sustainable Development is a plan of action for people, planet and prosperity. UN DESA recognizes that eradicating poverty in all its forms and dimensions, including extreme poverty, is the greatest global challenge and an indispensable requirement for sustainable development. The thematic focus for the 2017 UN DESA Energy Grant is “Sustainable Energy for Eradicating Poverty and Promoting Prosperity in a Changing World”, reflecting the multiple roles that energy plays in eradication of poverty through advancements in health, education, water supply, industrialization and combating climate change.